Many people want to eat healthily, but it is unfortunate that most time, healthy food can be expensive. Therefore, many people find it difficult to eat healthy when on a tight budget. 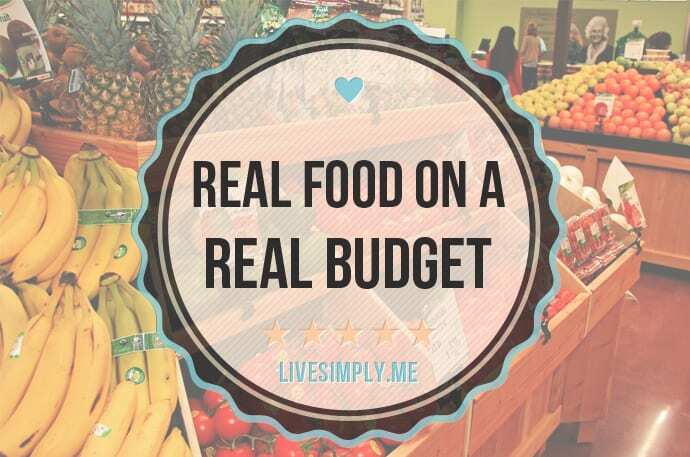 You don’t need to eat poorly when you are on budget because there are different ways you can save your money and still eat whole, single-ingredient foods. In this article, I have compiled some clever ways to eat healthy even if you are on a budget. Show me what you eat and I will tell you who you are. Healthy food is paramount to your health, and that is why you should eat healthy regardless of your pocket. The clever tips you are about to read are tested and trusted ways of eating healthy even if you are on a budget; therefore you can now eat healthy even if you are on a tight budget. If you really want to save money when you visit a grocery store, it is important to plan ahead. If you have no plan before going to a grocery store, you may end up spending more than you should spend. To save money when you go to the grocery to get your meal, plan your meal for the upcoming week before you visit any grocery store. You can plan this after your day work or make out some time on Friday and plan for the upcoming week meal. Make the list of what you need and always ensure you scam your cabinet and fridge to see what you have in there. There are usually a lot of foods in the back that can be used, so ensure you scan very well so that you don’t need to spend unnecessarily. When you are planning, make sure you only plan for the items you are going to use to avoid throwing away the surplus. Once you have planned your meal and made your grocery list, be holistic about it i.e. stick to it. When you get to the store, it is very easy to get distracted into an expensive purchase, but just ensure you stick with your plan. As the general rule, try and shop the perimeter of the store first because it will likely help you to fill your cart with whole foods. You should know that the middle of the store usually contains the highly processed and unhealthy foods. If you what you first see in the store are the unhealthy foods, just look at the bottom or top of the shelves rather than looking straight ahead because the most expensive items are always placed at your eye level. In addition, if you check app stores, there are many fantastic grocery apps that can help you shop. Some of these apps can even save your favorite items. You can use the app to ensure you don’t forget your list at home. Eating out is costlier than cooking at home, so ensure you cook at home to reduce your expenses on food. Make cooking at home a habit instead of eating out at the last minute. If you do the math, you can feed the entire family of four for the same price you will spend on feeding one or two people at a restaurant. Some people cook the food for the entire week during the weekend while others are comfortable with cooking a meal at a time. If you cook the food you eat, you will also know exactly what is in your food instead of eating the food you don’t know its content at the restaurant. Cooking large portions of a meal can save you both money and time. You can use your leftovers for lunches, in other recipes or frozen in single-portion sizes to be enjoyed later. The leftovers always make superb stews, salads, burritos, and stir-fries. These types of food are excellent for people on a budget. Don’t go to the grocery store when you are hungry because it can make you buy on impulse. When you are hungry, you are likely to crave foods that are not good for your budget or health. So, try to grab a yogurt, fruit or other healthy snacks before heading to the store to purchase your food items. Plan before you head to the grocery store, don’t buy on impulse and make sure you cook your food instead of eating out. You can eat right on budget, so stop eating junks and start eating the right foods for your health. Remember you can only enjoy life when you are healthy!